San Marzano tomatoes are widely recognized by top chefs, Italian cooks and food aficionados as the gold standard for taste. At Cento, we go to great lengths in monitoring our planting, growing and harvesting processes to ensure our tomatoes retain the world-renowned flavor that makes them so special. 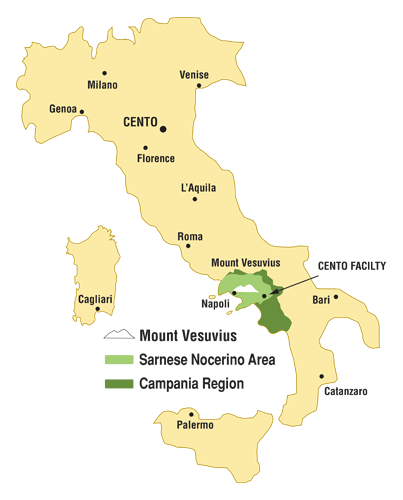 Cento is the only United States brand that owns its production facility in the Sarnese Nocerino area of Italy, literally in the shadow of Mount Vesuvius. The rich volcanic soil, high water table and ideal Mediterranean microclimate all combine to make San Marzano tomatoes the premier choice for any recipe. Our sustainable growing methods allow us to produce quality tomatoes each year, free of GMOs and other unnatural substances. We carefully select the farms prior to each growing season then distribute our seeds to select farmers, monitoring production of our Cento Certified San Marzano Tomatoes from seed to shelf. Everything from our seeds to the method of farming must be compliant with Agri-Cert, our third-party certification agency. Agri-Cert certifies the authenticity of our San Marzano tomatoes, ensuring they are grown following the traditional methods to produce a consistent, premium product. Our sustainability commitment requires each of our farms to practice crop rotation, helping the land remain fertile by not using the same key nutrients each season. Crop rotation also helps reduce soil erosion, improve soil stability and increase crop fertility. 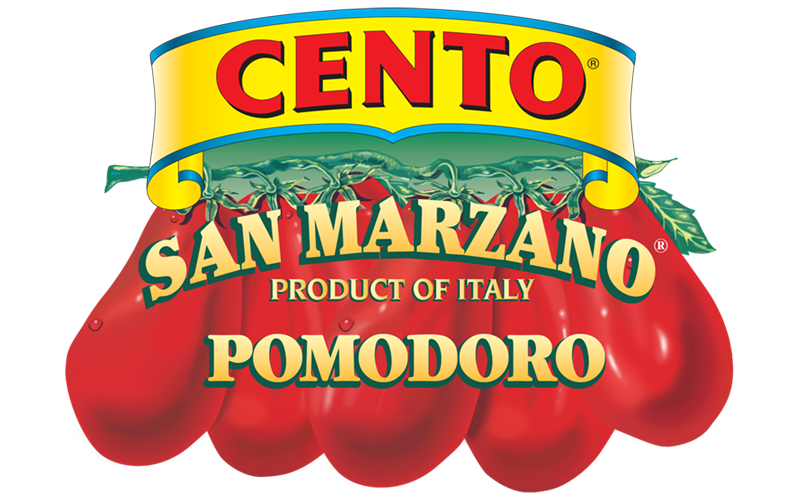 Cento Certified San Marzano Tomatoes are certified by an independent third-party agency, Agri-Cert, and are produced with proper methods to ensure superior quality. Through our authenticity certification process and partnership with Trace Register, we are able to trace each can to the exact farm where they were grown. This helps us ensure each and every crop is up to our standards and also allows consumers to trace their can to see the farm and area in Italy in which those tomatoes were grown. From seed to shelf, Cento Certified San Marzano Tomatoes are monitored and held to our highest of standards. IN FEBRUARY OUR SEEDS ARE DISTRIBUTED TO OUR SELECTED FARMERS. OUR SAN MARZANO SEEDLINGS START IN GREENHOUSES UNTIL THEY ARE READY TO PLANT. THE SAN MARZANO PLANTS ARE HAND TIED AND GROW TO FULL TERM BY JULY. THE CROP IS HAND PICKED ACCORDING TO OUR STANDARDS. EACH SAN MARZANO IS THEN HAND SORTED. ONLY THE BEST ARE CHOSEN FOR CANNING. THE TOMATOES ARE STEAM PEELED AND PACKED FRESH IN BPA FREE CANS. A San Marzano tomato is similar in appearance to a Roma tomato, but thinner and more pointed. 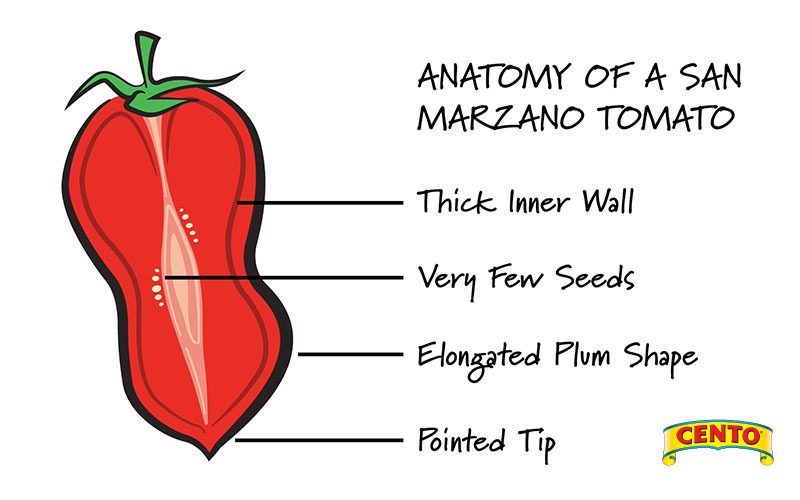 The walls of the tomato are much thicker with fewer seeds, which makes San Marzano tomatoes less acidic and sweeter than other tomatoes. These tomatoes are best suited for warmer climates, making the Sarnese Nocerino area of Italy the ideal location to grow them; the rich volcanic soil from Mount Vesuvius supplies the tomato plant with all the nutrients it needs. This area also has a very high water table which ensures the plants get the necessary water supply throughout their growth. Cento Certified San Marzano Tomatoes are still grown in the traditional method: once the seedlings have matured, the plants are moved to the fields where they are hand-tied to wooden poles. When the tomatoes are vine-ripened, they are picked by hand and ultimately steam peeled and canned for your enjoyment all year long. The Cento production plant is located in the San Marzano region in Campania, Italy, approximately 22 miles southeast of the town of Naples. The plant sits in the shadow of Mount Vesuvius, renowned for its fertile soil and temperate climate. The close proximity of the plant to the local farmer’s San Marzano plantings allow for the hand-picked crop to be delivered within hours of selection. Cento Certified San Marzano Tomatoes are certified by an independent third-party agency, Argi-Cert, and produced with the proper method to ensure superior quality. From seed to shelf, our tomatoes are monitored and held to the highest of our standards. 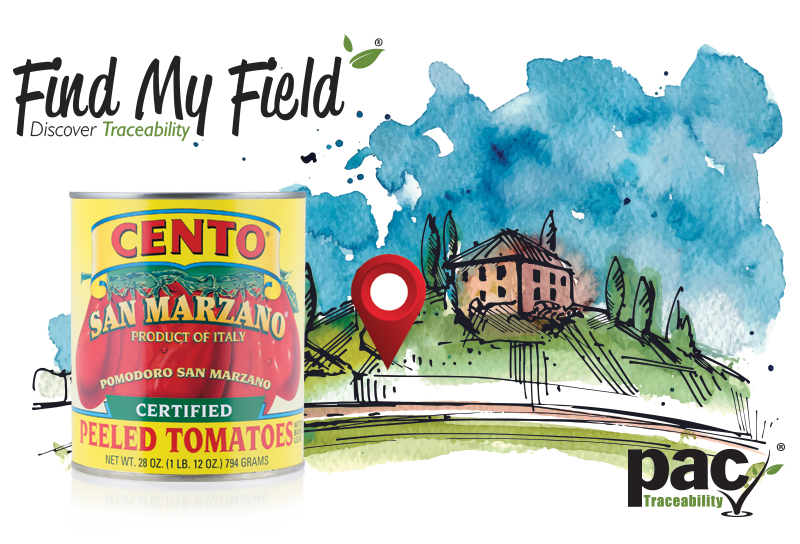 PAC Traceability (Product Attribute Certification) is the driving force behind the certification of Cento San Marzano Tomatoes. Each can comes labeled with a “lot code” as well as a best before date. These lot codes allow us to trace every can to the exact farm where the tomatoes were picked to ensure that each crop is up to our high standards. If you’re interested in exactly which of our farms your can of tomatoes came from, click the button below.